Some nicks and scratches. Full maintenance records. 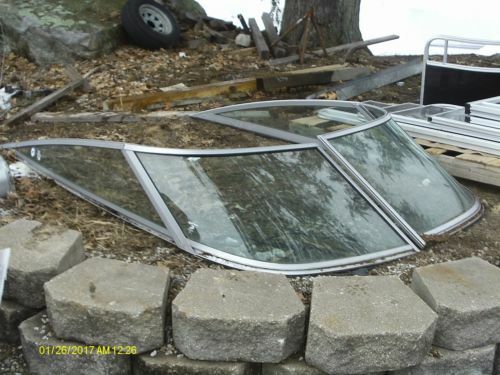 Trailer in good shape, good tires. 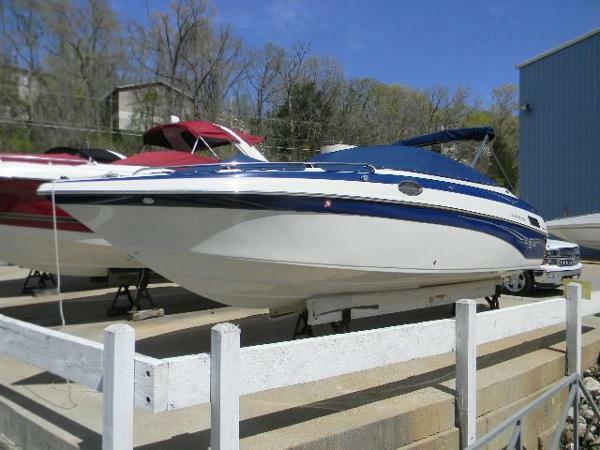 A launch is only 1/2 mile from storage. 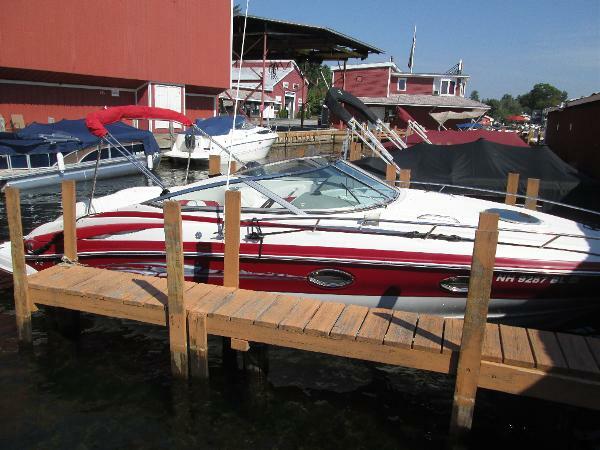 Wake and ski tower (retractable/removable.) Full snap-in Berber style carpet. 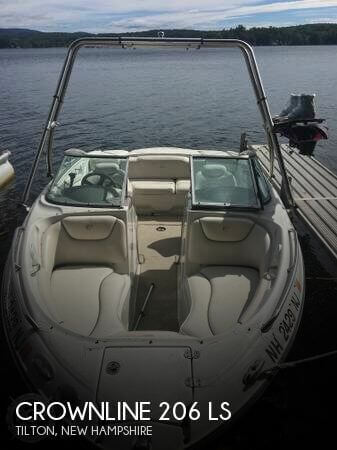 Stock #162465 Whether you're out for a day of relaxing or for an exciting time wake boarding, this CROWNLINE is the boat for you. 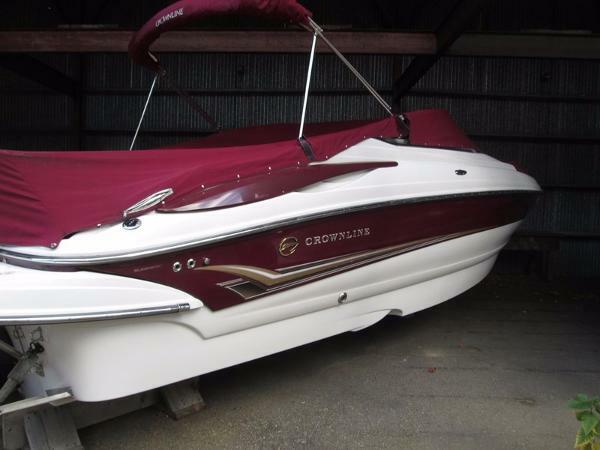 If you are in the market for a bowrider, look no further than this 2005 Crownline 206 LS, just reduced to $14,900 (offers encouraged). 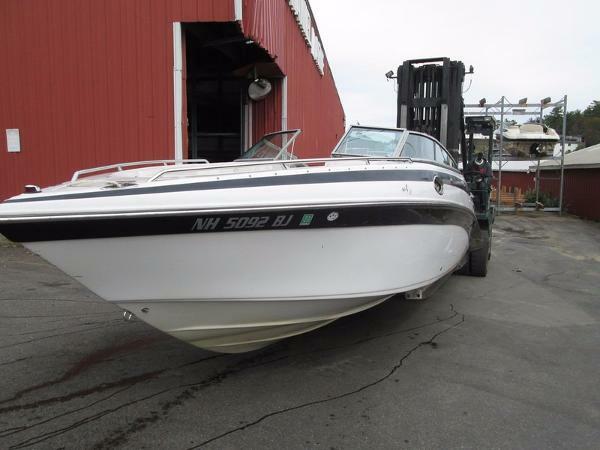 This boat is located in Tilton, New Hampshire and is in good condition. 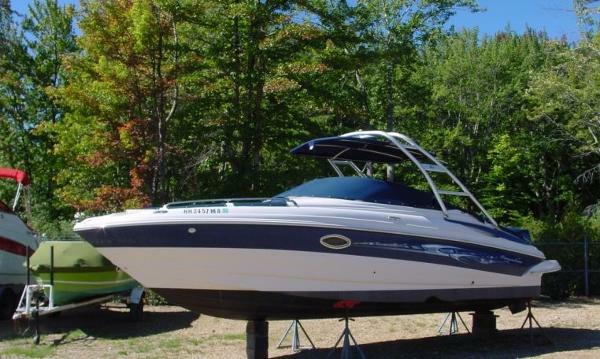 She is also equipped with a Mercruiser engine that has 732 hours. 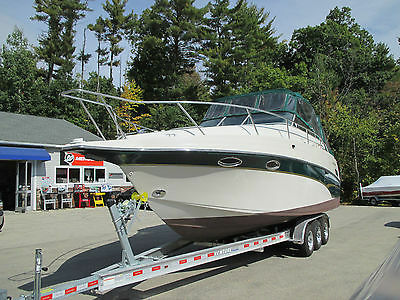 Reason for selling is kids have grown up and its now time for a pontoon boat..
2003 Crownline 288 BR 2003 28' Crownline 288 BR. 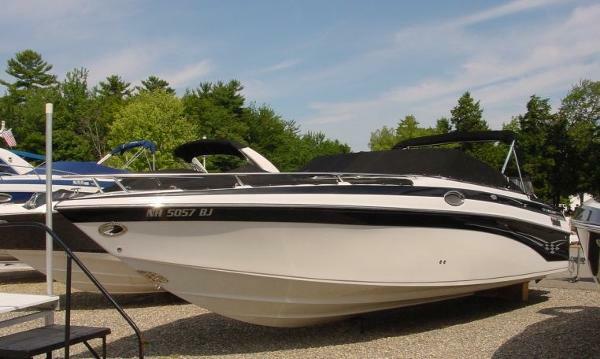 Twin Mercruiser 5.0L MPI B3. 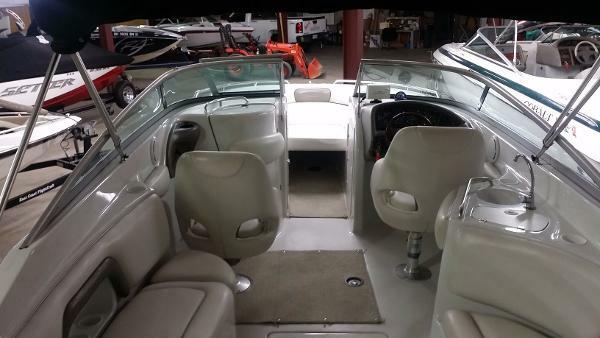 Cockpit refrigerator, cockpit sink, cockpit carpet, depth finder, marine grade head (enclosed), bow walk through doors, cockpit cover, bow cover, stereo. 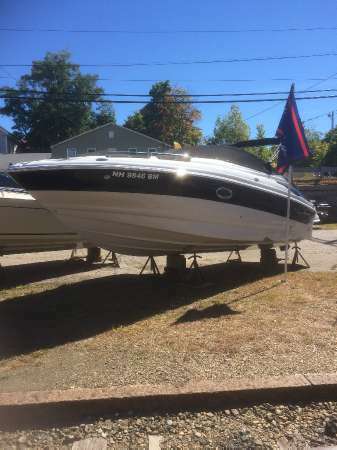 $39,900. 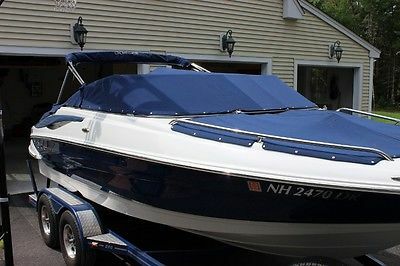 2007 Crownline 255 CCR 2007 Crownline 255 CCR 2007 Crownline 255 CCR with a Mercruiser 350 MPI Bravo III 300hp engine with only 71 hours. 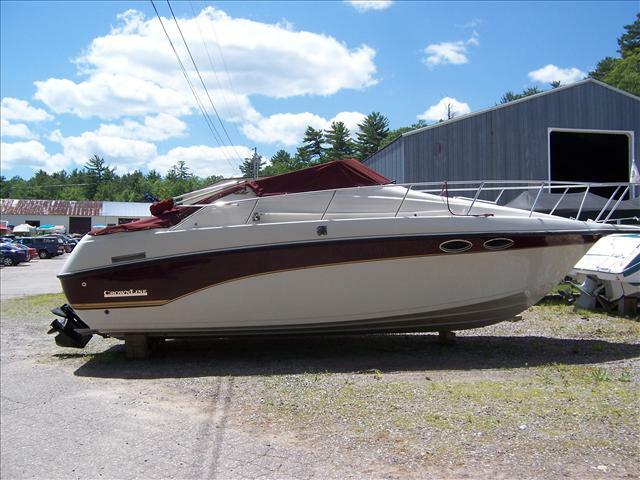 This Crownline is in fantastic shape with a cuddy cabin style, full head on galley with refrigerator and sink v berth, overhead hatch, v shaped seating aft, bolstered helm and co pilot seats, Lewmar windlass with claw anchor, Sony stereo with remote, standard Horizon CPV350 plotter with VHF radio, compass, navigation lights, anchor lights, Faria depth sounder, dual batteries, extinguisher at helm, Fireboy in engine bay, flairs, Coast Guard approved life vests, aft shower, swim platform with ladder, mooring cover, bimini, pop up cleats with a red and white hull. 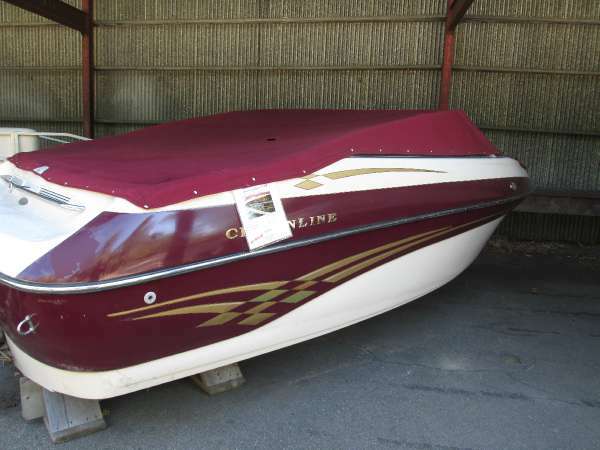 2004 Crownline 270 BR 2004 Crownline 270 BR 2004 Crownline 270 BR with a Mercruiser 350 Mag MPI Bravo III 300hp engine. 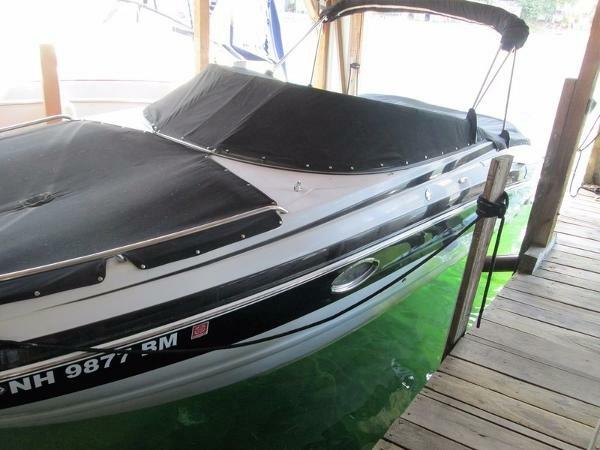 This boat is yacht certified with a bowrider layout with head to port, bench seats aft with storage underneath, swim platform with ladder, trim tabs, twin batteries, Sony stereo, Ritchie compass, depth, full instrumentation, navigation lights, anchor lights, extinguisher at helm, bimini, mooring cover, sink in cockpit with self draining ice locker, bolstered helm seats and adjustable steering wheel.